A Greek Super League playoff game between Panathinaikos and PAOK on Wednesday has been abandoned after visiting PAOK coach Vladan Ivic got hit on the head by a beer can. It was in the 54th minute of the game when a brawl between the players of both teams started. During the melee on the pitch, Ivic was standing in the sideline when a beer car was hurled from the seats and hit him on the side of his head. The PAOK coach was taken to the hospital for treatment after his injury, with the referee interrupting the game. 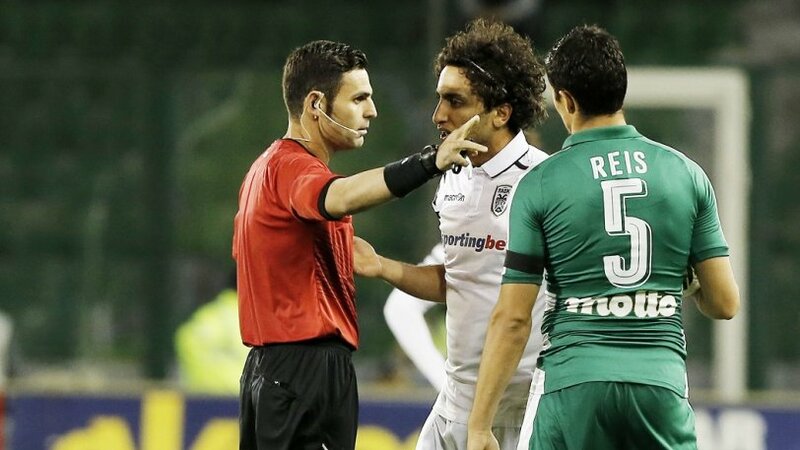 The match was suspended for over an hour, and then referee Giorgos Kominis abandoned the game. According to the Greek Soccer Federation (EPO) rules, injury of a referee, coach, or footballer by fans of the home team is punished by the subtraction of three points from the current league and two points from the next league, one or two games played without spectators and a heavy fine. Also, if the game is abandoned, the team responsible for the injury is losing the game with a score 3-0 and the visiting team gets the three win points. Panathinaikos was 1-0 ahead at the time the match was interrupted. Marcus Berg had scored in the tenth minute.